The Executive MBA program from Zayed University is a general management program offered in partnership with Clemson University and Oklahoma State University. The Zayed Executive MBA program prepares experienced managers from a variety of backgrounds and professions for senior leadership roles in their organizations. Faculty members utilize a mix of in-classroom and distance learning instruction that demonstrate the flexibility needed to accommodate experienced working graduate students. Customized courseware, with e-mail and course management features, is used to deliver the offsite computer-based portion of the curriculum. Students and faculty interact frequently to exchange e-mail, transfer files, submit papers, and access course materials in the form of PowerPoint slides during courses. Admission to Zayed University’s Executive MBA is open to males and females of all nationalities. Program expectations are high and require participants to balance the demands of a career, family and a graduate academic program. The ideal candidate will be a motivated individual with three to five years of managerial experience who has shown outstanding promise within their organization. Applicants to the Zayed EMBA must have earned a four-year baccalaureate degree with a GPA of 2.5 or higher from an accredited university. In addition, applicants must have at least three years of mid- to upper-level management experience and demonstrate sufficient English proficiency to manage a challenging, fast-paced program. Applicants are required to have a basic knowledge of accounting, finance, economics and statistics prior to gaining entry into the main masters program. At the beginning of the Executive MBA, students take an intensive one-day orientation. The orientation offers a number of workshops to introduce students to the program, during which students are introduced to Blackboard (virtual classroom software), case study and analysis, library resources, and the writing of reports and reference citations. The Executive MBA’s curriculum is firmly grounded in the functional areas of the business enterprise. Additional courses are designed to introduce managers to developments significantly impacting business, including technological advances, globalization and the internet economy. The Executive MBA curriculum consists of 12 six and one-half week courses for a total of 36 credits for the Executive Masters degree. 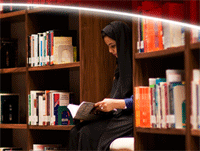 The Executive MBA costs AED128,000, however, academic merit-based scholarships are offered.